Do you suffer from the “I’m Sorry Habit”? Is it hard to own your accomplishments or do you downplay them? Do you say I’m sorry all the time when there is no reason to? Is it hard to take a compliment? Do you have trouble taking credit for a job well done? If so, you suffer from what I like to call the “I’m Sorry Habit”. I watched an amazing Ted Talk this week on YouTube about this topic. 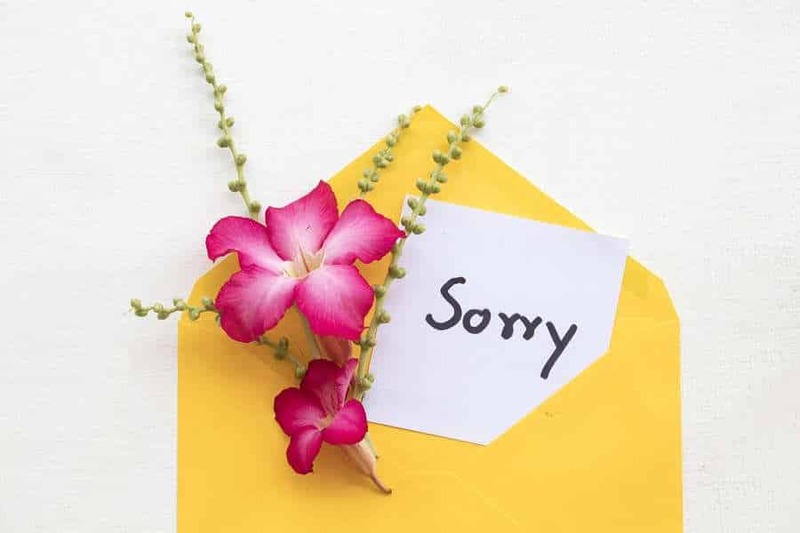 In the following video, Maja Jovanovic discusses how women are constantly apologizing, saying “I’m sorry” or not giving themselves enough credit when complimented. Whether it’s a compliment on a job well-done or a fabulous outfit, we just can’t take a compliment. We either elaborate on how much help we had and how we couldn’t have done it alone or just have to tell people what a great deal we got at the store. And sometimes it makes us shoot ourselves in the foot. Nancy (not her real name) was looking for a job. She was trying to get back on her feet. She thought that she’d love to work as a receptionist for a veterinarian. A friend offered to help her. This friend was skilled in research and doing mail merges with Microsoft Word and Excel. emailed the PDF to her to print out and deliver to the clinics. Nancy delivered the letters along with her resume to the veterinarian clinics. One of the clinics needed a receptionist. In the interview, the Veterinarian complimented Nancy on taking the initiative in cold calling for a job. And what did Nancy do? Did she take the compliment and say thank you? Nope. She told the Veterinarian how her friend had helped her by putting the list together, writing the letter and producing the mail merge. Nancy didn’t get the job. Was it because she didn’t take credit for what her friend did for her? Maybe, maybe not. But it certainly didn’t do her any favours. When she told her friend about it, her friend was incredulous! She asked her why she would have done that. Nancy said she wanted her to get credit for a great job. Her friend didn’t care if she got the credit – she did the work to help her friend get a job and get back on her feet. Women are conditioned from a young age to not to make waves. We’re not taught to take credit. We’re taught to worry about what others might feel. This is also what is known as a limiting belief and it is one that hypnosis can help you with. If you are ready to overcome this limiting belief and take back control, hypnosis can help you do this. I invite you to book a free consultation to discuss if hypnosis is right for you and how it can help you. Click here to book your consultation today. it could be the 30 minutes that changes your life. If you have questions about hypnosis, click here to read more information about what hypnosis is.